There was still snow left to clear away after the weekend. Photo by LongIsland.com Staffer. 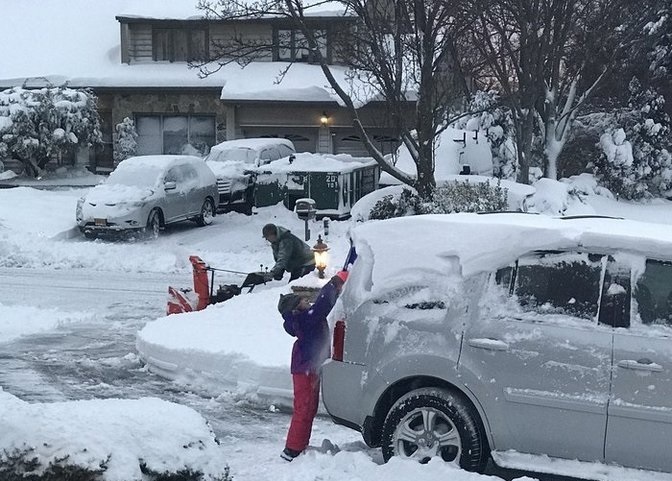 After an intense blizzard closed down most schools on Long Island for two days in a row on February 9th and 10th, a combination of sleet and snow made for slushy conditions on Sunday, February 12th. The precipitation eventually turned to rain and had little impact on travel the following day, but many side roads on the Island were still not completely plowed by the time the rain let up. Cramped and potentially slippery roads coupled with strong winds convinced a handful of schools to open late on Monday, February 13th–four days after the initial snowstorm.